Because the mental health and well-being of people of color matters. 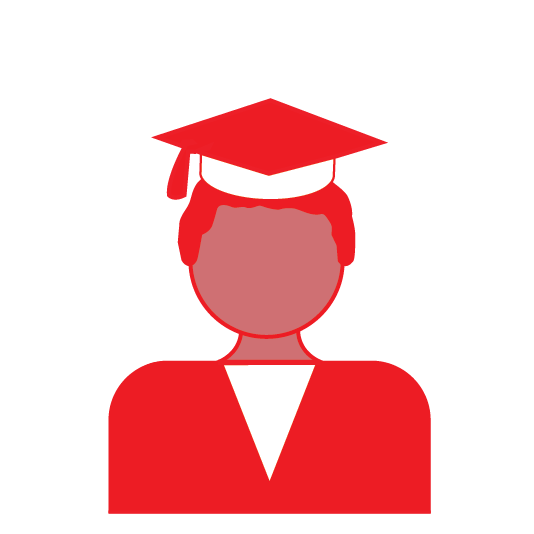 Research shows that students of color are significantly less likely to seek psychological support when faced with mental illness. 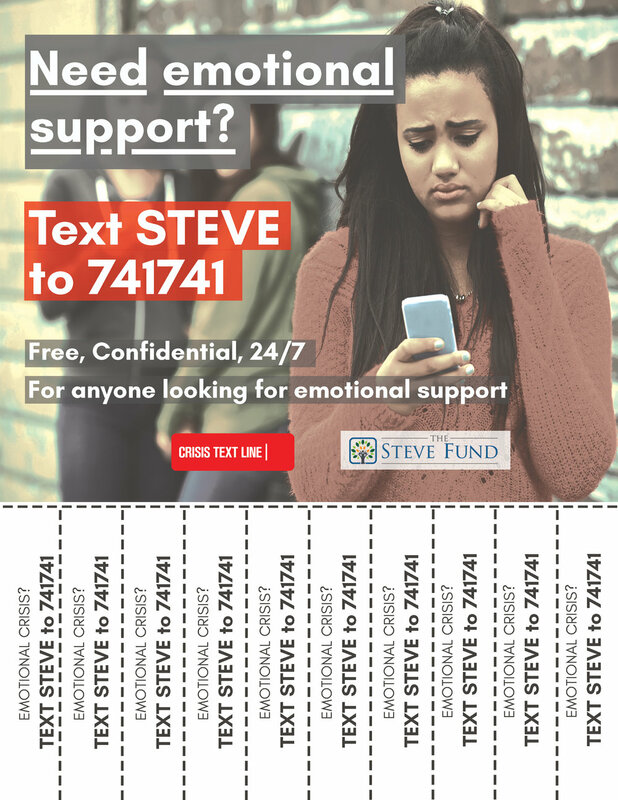 The Steve Fund is partnering with Crisis Text Line to spread the word amongst young people of color on using text messaging as a means to provide crisis counseling. Through this partnership, we recruit, select, and train young people of color to become Crisis Counselors with Crisis Text Line and educate the public that there is an easy-to-use service in times of crisis. 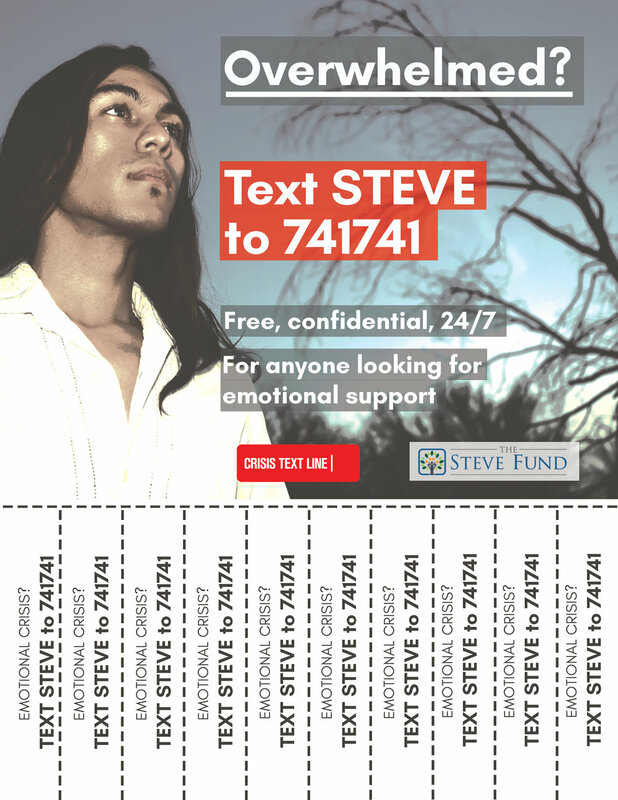 We’re training young people of color to become Crisis Counselors with Crisis Text Line. Join our diverse community. The application take less than 30 minutes to complete. Once accepted, complete the 30-hour online training program with support from our team of trainers. Training includes: video lessons, roleplays, and real-time observation of current crisis counselors. 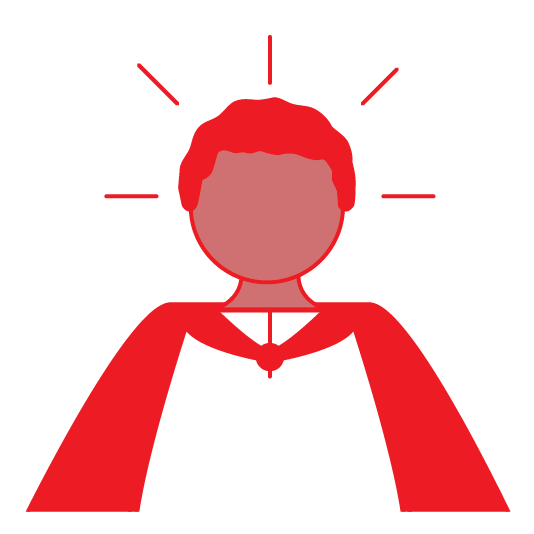 Use skills learned in training to bring texters from a hot moment of crisis to a cool calm. You’ll be a part of a very special club of 3,500 Crisis Counselors throughout the US. You control your schedule! Sign up for your own hours. Crisis Counselors commit to 200 total volunteer hours, which can be completed over any period of time. Grow your network! You’ll be a part of a national network of 3,500 trained Crisis Counselors. Resume booster! Not only do you volunteer, you save lives! Palooza! Every year, you’ll be invited to join us at our annual conference. Help us spread the word! 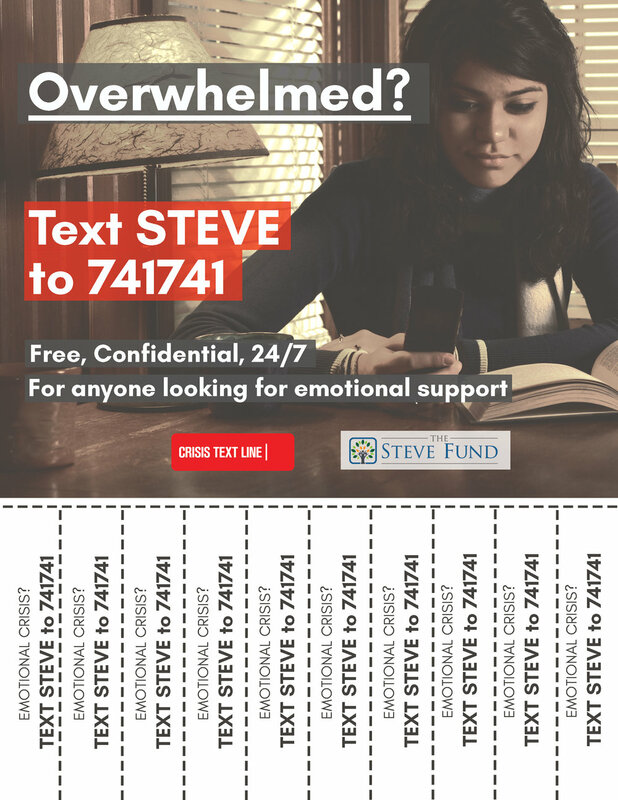 We’re working to increase knowledge of our service so that youth of people of color across the country know Crisis Text Line is here to support them in their moment of need. Want to help us? Tell friends, family, and communities about us. Download one of the flyers or social cards below to recruit in your community. 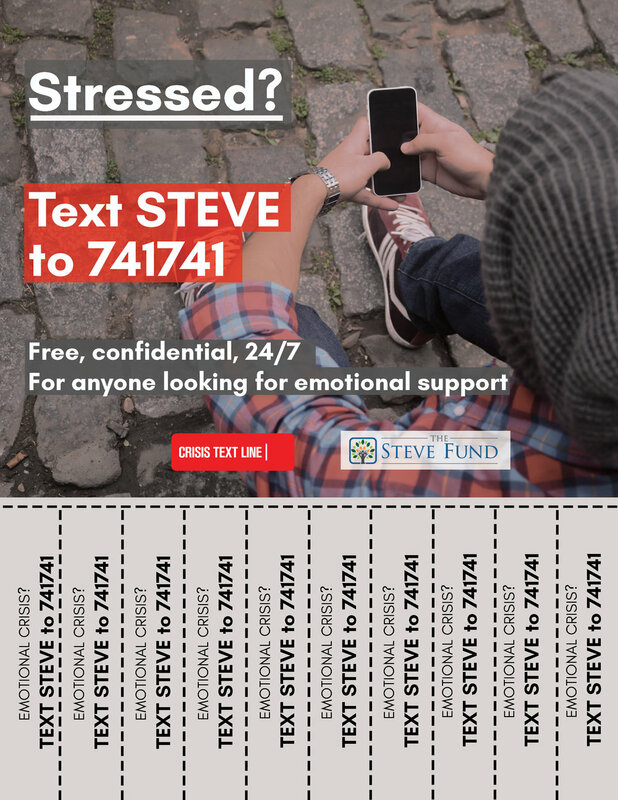 Tell anyone in crisis to text 741741 with the keyword STEVE. Training includes: video lessons, roleplays, and real-time observation of current Crisis Counselors. Sign up for four hours of weekly recurring shifts. Take your first shift (our team of Supervisors are with you 24/7 for support!). Use skills learned in training, like active listening, to bring texters from a hot moment of crisis to a cool calm. Then, safety plan with them. 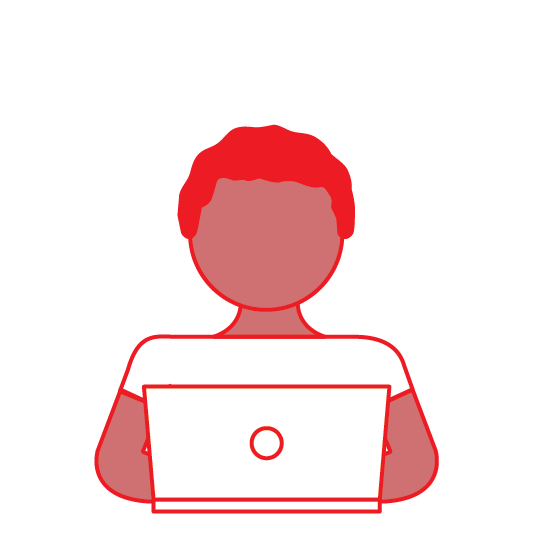 Collaborate with our team of Supervisors to ensure the safety of each and every texter. Enjoy our national community of crisis counselors (you’ll be a part of a very special club! ).